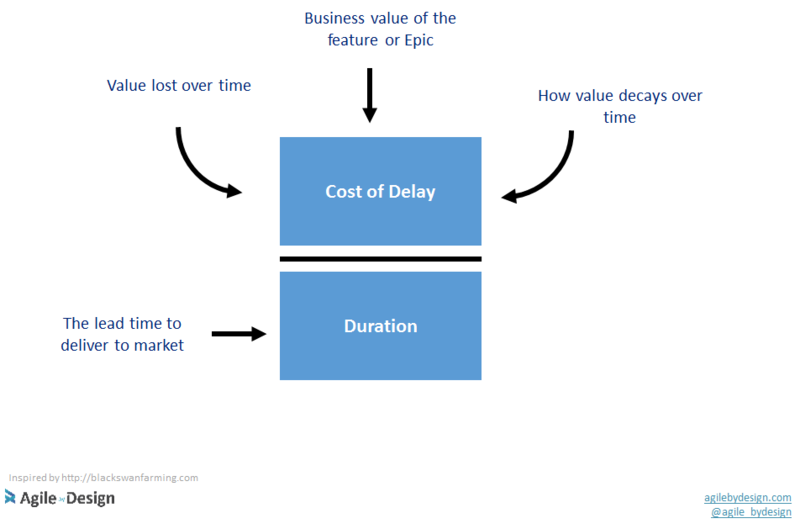 Rethink how you deliver value part 3: Estimate the economic impact of delay through CD3 (Cost of Delay Divided by Duration) - Agile by Design Inc.
CD3 is a mechanism to allow you to score increments of value in such a way as to maximize the amount of value your team/organization/whatever can deliver in a given period of time. CD3 stands for Cost of Delay Divided by Duration, which can be a real tongue twister so we just say CD3 for short. In a nutshell you take the cost of delay for a particular deployable feature and divide it by the amount of time you would typically take to get that feature out in the production and in the hands of real users. CD3 is particularly effective when your means of production are relatively fixed or scarce. This tends to be true whenever we have people doing knowledge work. 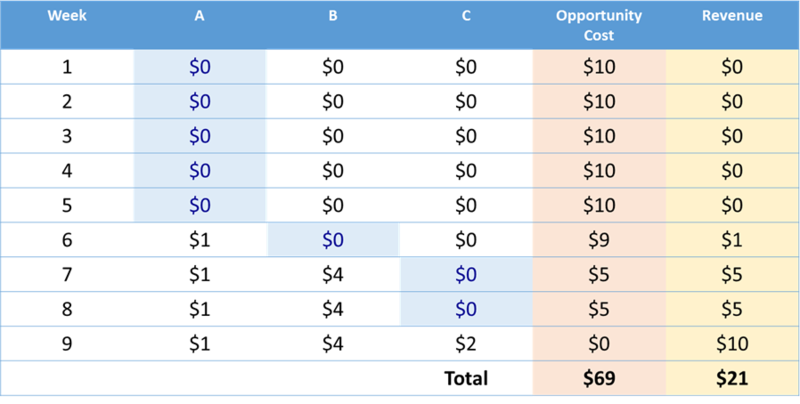 Rank ordering a set of features that could be delivered allows you to maximize the total ROI of your group through minimizing the total cost of delay for that set of features. Furthermore, because CD3 into account the impact that lead time has on the value being delivered, CD3 encourages the breakdown of work into smaller batches, a prerequisite for agility! To illustrate the point lets take a pool of features and assume we can build them one at a time, what is the optimal order? Standard prioritization approaches can include simply taking things in a first in – first out order, or perhaps prioritizing by total value delivered. Let’s assume that we decide to prioritize using FIFO. 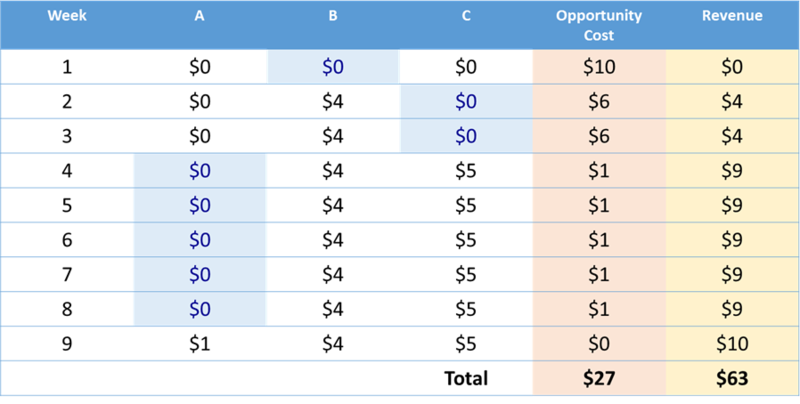 For the first five weeks, we incur the cost of delay for all three items A, B, C. This comes to a total of $5/wk + $4/wk + $1/wk, multiplied by 5 weeks we get a delay cost of $50. During week six we incur the cost of delay for items B and C, incurring $4/week + $5/week multiplied by 1 week, coming to an additional delay cost of $9, a total of $59. For weeks seven and eight we only incur the cost of delay for item C, incurring $5 a week * 2 weeks providing an additional $10 Delay Cost, total $69. The scenario might be better illustrated through the table below. Now let’s prioritize according to CD3. For the first week we incur the cost of delay for all three items A, B, C. This comes to a total of $5/wk + $4/wk + $1/wk, multiplied by 1 week we get a delay cost of $10. During the next two weeks we incur the cost of delay for items A and C. Incurring $5/week + $1/week multiplied by 2 weeks coming to an additional delay cost of $12, with a total of $22. For weeks five through 10 we only incur the cost of delay for item A, incurring $1 a week * 5 weeks providing an additional $5 delay cost, a total of $27 . Again we may be able to see the scenario a little better through a table. In a nutshell, rank ordering options under consideration for delivery by CD3 creates better economic outcomes for the organization. Calculating the CD3 of options to be delivered provides an understanding of where a lack of agility is hurting the organization most. Features that have the highest Cost of Delay but the lowest CD3 score are an indicator of where various sources of delay are incurring the most cost.  Teams / tribes / etc. can rank order their backlogs according to the highest COD and lowest CD3 score, and then analyze the backlog items that have the largest discrepancy between these two numbers. This is where a lack of agility is interfering with delivering the perceived highest value. Having an understanding of the economics behind delay can help drive momentum across team and organizational barriers to implement system-level fixes. COD / CD3 variance is an excellent input to conduct root cause analysis, countermeasure identification, and improvement implementation. Improvements can be validated by checking whether the CD3 score improved where it matters most to the organization. How do you promote collaboration over competition between business areas in big companies?